Dublin, Ireland’s I Draw Slow has already won the adoration of fans in their home country and North America by combining American folk and Irish storytelling traditions with close-harmony vocals, intriguing instrumentation and compelling subject matter. And on their debut with Compass Records, Turn Your Face to the Sun, released April 21, 2017, the band adds even more depth to their sound and songwriting, capturing I Draw Slow at their best — when they’re all together, separated only by air. "Same Old Dress Will Do"
I Draw Slow's Turn Your Face to the Sun is a Top 10 Album of 2017! 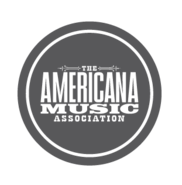 No Depression names I Draw Slow a Band You Don't Want to Miss at AmericanaFest!